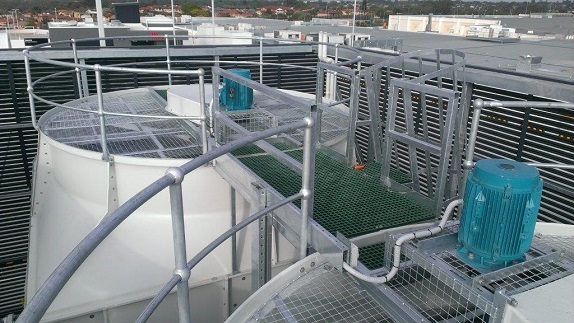 At our warehouse in Melbourne, we have at the ready a range of quality Brentwood cooling tower parts. Because we import the parts directly from the manufacturer, we’re able to supply cooling tower parts at great trade prices. Based in Melbourne, we can arrange for fast delivery Australia-wide. Why did we choose Brentwood? After servicing cooling towers for 27 years, our experience is that Brentwood fill pack lasts 50-60% longer than some cheaper imports. That’s significant, and we’re advising clients not to risk thousands of dollars in lost production due to breakdowns. Cheap plastics just don’t last: they break into small pieces very quickly and block inline equipment; they also break up easily if removed for cleaning; and tend to deform quickly due to poor heat transfer. Contact Darren Driscoll for more information, pricing and trade discounts.